Royal Air Maroc has opened self bag drop for its passengers at Mohammed V airport in Casablanca. The airline has deployed 30 self-service check-in kiosks and 12 self-service bag drop units from IER. The IER 919 check-in kiosks and i820 self-bag drop units provided by IER blend perfectly in the design of the terminal and have all been customized to match Royal Air Maroc brand guidelines. 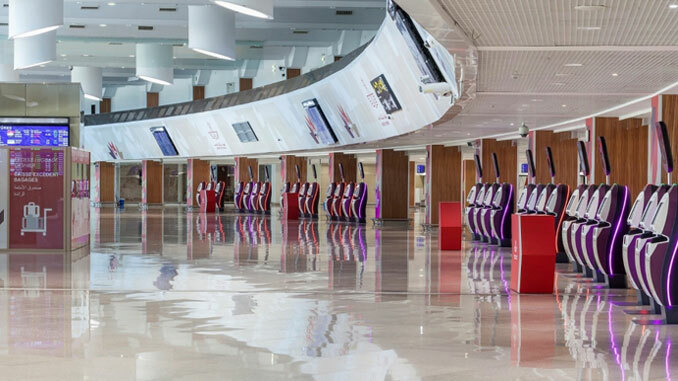 Royal Air Maroc passengers departing from the terminal will enjoy a smooth check-in process. On arrival in the terminal building, they will be able to complete their check-in at a kiosk and opt from a range of options, from language preference, to seat selection and printing of their luggage tag before proceeding to the bag drop positions, where they will simply need to scan their bag tag before their baggage is injected in the baggage system. “The partnership between IER and Royal Air Maroc is based on mutual trust and Royal Air Maroc was the first customer who gave IER their confidence in ordering our latest generation of self-service bag drop product. The kiosks and self bag drops are in the newly renovated and modernized Terminal 1 of Casablanca Mohammed V, which was inaugurated last week by King Mohammed VI. This new terminal, operated by ONDA (National Airports Office) is entirely dedicated to Royal Air Maroc and its partners. It brings the airport’s overall capacity to 14 million passengers a year.